At cons, I hear one complaint from people who are wearing Jayne Cobb inspired hats: the hats are just too warm. While I do make a cunning hat that is Minnesota winter appropriate, I just recently made a version that is a more appropriate for wear while attending your favorite con, screening of "Can't Stop the Serenity" or if you live in a warmer state. So, behold, I give you the ComicCon appropriate Jayne Cobb inspired Firefly knit earflap hat! Please note that this orange and yellow knit hat is not made by, endorsed by or in any way affiliated with any individual or organization that originally aired, and quickly cancelled, a short lived, but much loved Sci Fi series featuring a male character with what some might call a girl's name. Granted, it does look an awful lot like a Jayne hat. 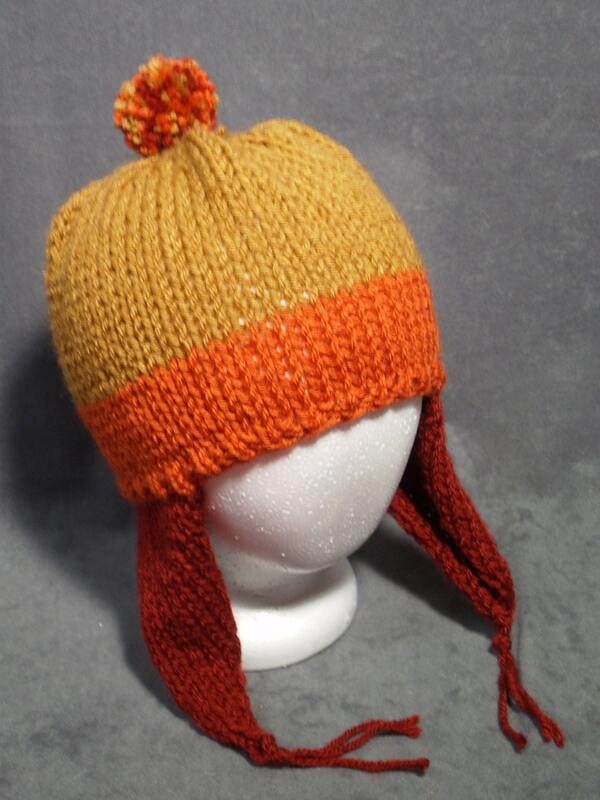 Even though it looks a lot like the hat worn by Jayne Cobb on Firefly, it is for sure NOT an "official" Jayne hat. **Please note that the yellow yarn used in the hat is called "honey" and described as a "deep gold" color and it is a darker color of yellow. On occasion, I have been told that the yellow even looks somewhat brown. Refer to the picture with yarn samples for a better idea of the colors.